It’s funny how an arbitrary point on a calendar can make people feel. 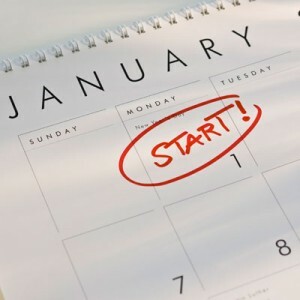 In general, I think most people who make resolutions feel somewhat let down by themselves and/ or their behavior. I could be wrong. Because of a bias towards emphasizing the negative in our lives, we’re wired to see those things we think of as negative more clearly and readily than the things we think of as positive. For myself, this year has had many bright points, but protracted bouts of depression have made it seem less stellar than it objectively probably was. That being said – from the viewpoint of someone who used to make resolutions and stopped doing so many a year ago – I think resolutions, in themselves, are mostly an attempt at optimism. Rarely have I seen anyone announce a resolution, but they had that twinkle of hope in their eye. We hope for better things; to be better humans – whatever form that hope takes. For many people, the change of the calendar year feels like an opportunity. It can be shedding the old like dry skin, or putting on the new. I think the perception of opportunity fuels that hope, and for many – a long time ago myself included – New Year’s Resolutions are a way to give that hope a shape, to feel it as something tangible and more real than a transient emotional state. I think New Year’s resolutions, whether they are followed through or not, are essentially about hope. At least, I hope they are. Thanks for reading. I also think that the tradition of resolutions are about hope. I tried to start this year out with some hope, myself.